Lose It! is a calorie-tracking, weight-loss app I’ve been using since long before my angioplasty in 2012. I love it’s versatility and ease of use, especially when I’m offline but still want to find food in a database it offers that stores on my phone. 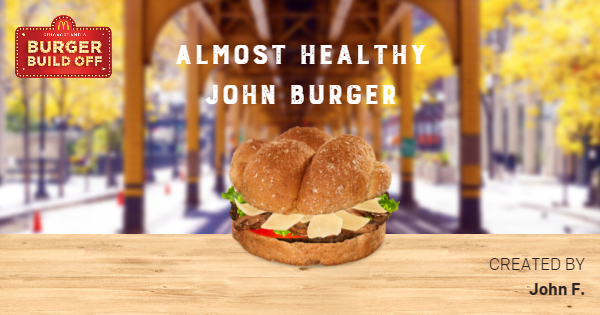 My Almost healthy burger creation for McDonald’s. Lose It! says get the smallest burger possible at fast food places. I’ve written about the badges it sends out to encourage healthy eating. Now it apparently has started an e-newsletter with eating tips as well. I received one last week that gives some fast food tips, along with other articles. When it come sot desserts, it counsels going small, which is never really that fun. Lose It! covers the basics here, but I’m hoping it digs deeper into healthy eating as these newsletters keep coming out.